A Home Equity Line of Credit (HELOC) is similar to a credit card, in that you’re allowed to borrow up to a certain amount (line/credit amount) for the life of the loan. But unlike a credit card, a HELOC has collateral for the lender...your home! Because your home is the security for the loan, you’ll obtain better terms on a HELOC than a credit card. 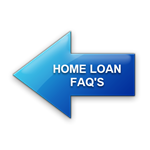 The HELOC then becomes a 2nd or 3rd mortgage on your home, pending existing financing in place. HELOCs generally have a 30 year term. The first 10 years are often called the “draw” period. The remaining 20 years are called the "repayment" period. During the draw period, borrowers can withdraw money as needed and also pay down principal as wanted. The payments during this 10-year period are usually interest only payments, calculated using the average balance times the interest rate. After the 10-year draw period, the 20-year repayment period usually requires fully amortized payments, meaning they’re based on the principal & interest payment required to pay the loan off in the remaining term (20 years). The interest rates on HELOCs are often adjustable, calculated by adding the Prime interest rate to a fixed margin. Prime is a moving target rate that is essentially set by the Federal Reserve. The margin is agreed upon at the time of signing for the HELOC loan. For example, a HELOC borrower might agree to a HELOC with a margin of 1.0%. If Prime is 4.0% at the time, the borrower’s prevailing interest rate would be 5.0%. If the Fed increases rates, causing Prime to float up to 4.75%, then the borrower’s rate in this case would adjust to 5.75% (1.0% fixed margin, added to 4.75% Prime rate). It’s usually advisable to make a payment amount above/beyond the interest only requirement during the draw period to avoid a huge increase in payment once the repayment period hits. That’s because the repayment period can mean a triple whammy: 1) Fully amortized payment amount - no longer interest only allowed 2) Shorter 20 year term 3) Possible higher rates, since HELOCs are generally adjustable. For example, a $40,000 line of credit, fully withdrawn to $40,000, with a 4.0% rate would have an interest only payment of $133.33/month ($40,000 x’s 4.0%...divided by 12). If interest only payments are made and at the end of the 10-year draw period $40,000 is still owed, the borrower could see the payment balloon to a much higher amount. Let’s assume at the end of the draw period rates are at 5.5%. The payment would go from $133.33/month up to $275/month (based on fully amortized, 20 year term, and 5.5% rate). That’s more than double! A $142/month increase may not seem insurmountable, but imagine the increase on a $100,000 HELOC payment after the draw period. Or even a $200,000 HELOC. These line amounts are not uncommon when people often use them to pay off debt, finance kids’ college education, do elaborate home improvements, etc. The interest on HELOCs can be tax deductible. If a HELOC is used to purchase a home, the interest is fully deductible (as long as the total borrowed amount is under $750,000). If the HELOC is acquired after the home purchase, the IRS allows you to fully deduct interest paid on HELOCs used for home improvements. If the HELOC is acquired for purposes other than those related to purchasing or improving a home, the interest is no longer deductible due to 2018 tax reform changes. The above is based on 2018 tax info. Tax law is subject to change. Lastly, HELOCs can generally be acquired at no cost and often come with a small annual fee (usually ranging between $0 - $75). IMPORTANT NOTE: We recommend NOT using HELOC's as a SOLE source for reserves money, since banks often have language in HELOC agreements that allows them to freeze credit lines at any time. Feel free to contact us with any questions regarding HELOCs...we’re happy to help!